Local 2010 members who work at CSU come to Sacramento to lobby for AB 369 and the restoration of salary steps. Teamsters Local 2010, in coalition with its sister union at the CSU system, CSUEU, has co-sponsored legislation (AB 369 sponsored by Assm. Weber) to restore salary steps for CSU employees across the state. “This is a fight to restore basic fairness for CSU workers,” says Jason Rabinowitz, Secretary-Treasurer of Teamsters Local 2010. 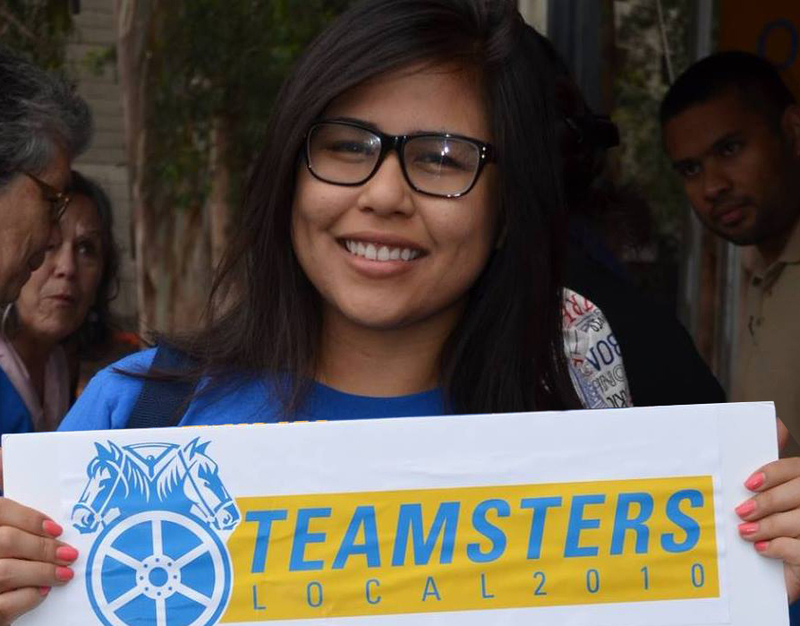 “Our hard-working CSU members deserve to receive step increases like every other worker in state service, and we will continue to bring Teamster power to bear until AB 369 is signed into law by Gov. More than 60 skilled trades Teamsters from throughout the UC and CSU converged on the State Capitol for the first Local 2010 Skilled Trades Lobby Day on June 27. Members met with the Governor’s office, Senate President Toni Atkins, Assembly Speaker Anthony Rendon, and other legislators and aides, seeking their support for increased funding to address deferred maintenance at the universities, and to urge them to pass AB 1231, the bill to restore step increases for CSU workers. Alicia Flores not only works as a Program Coordinator for the UC Berkeley Labor Center, she is also a steward and chapter coordinator for Local 2010. 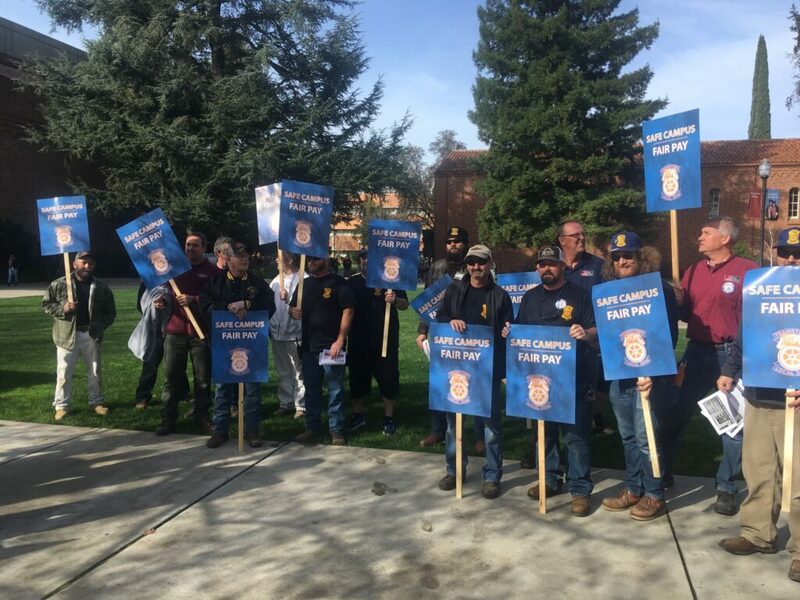 Hundreds of skilled trades workers across the California State University system held protests on January 23, to call attention to the threats to students caused by years of neglect of campus facilities. CSU has accumulated a $2+ billion backlog of neglected repairs and maintenance work, which continues to grow by $143 million a year. Hundreds of Skilled Trades workers across the California State University system held protests on Tuesday, January 23, to call attention to the threats to students caused by years of neglect of campus facilities.